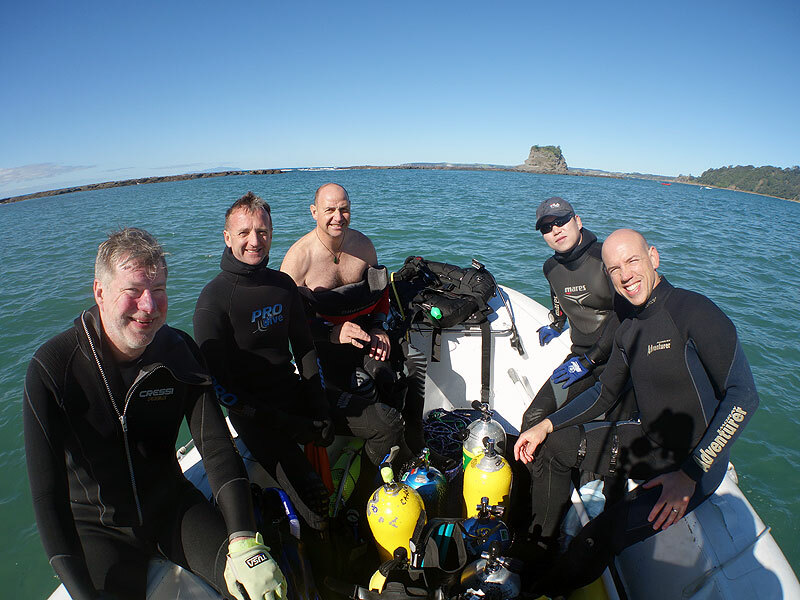 5 Keen divers head out to Leigh Reef and the Outpost for a couple of dives on Sunday morning. With a 15 knot wind and 1m swell the surface conditions were a little choppy, but it was worth it as the diving was great. Leigh Reef had a current running which attracted the schools of Kingfish and Blue Maomao. For the second dive we tucked in at the Outpost and got a little shelter from the wind. 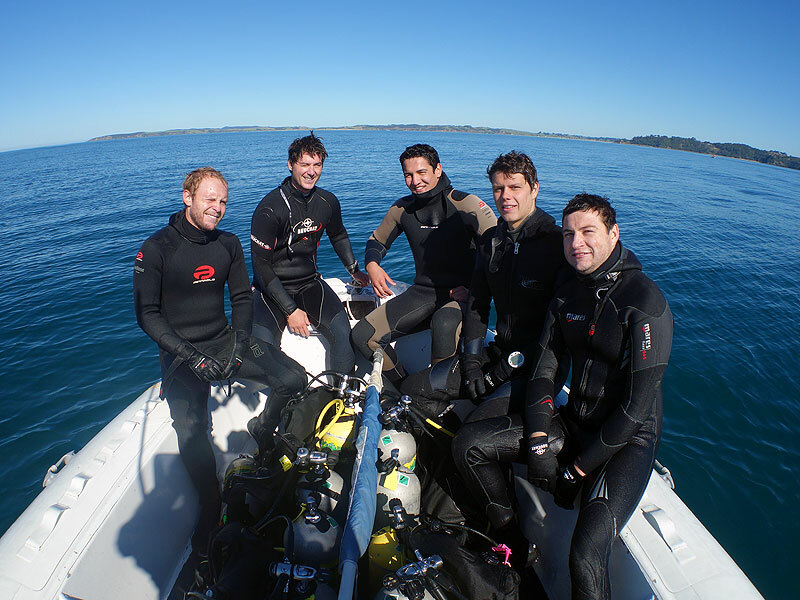 It was smiles all round after the dive. 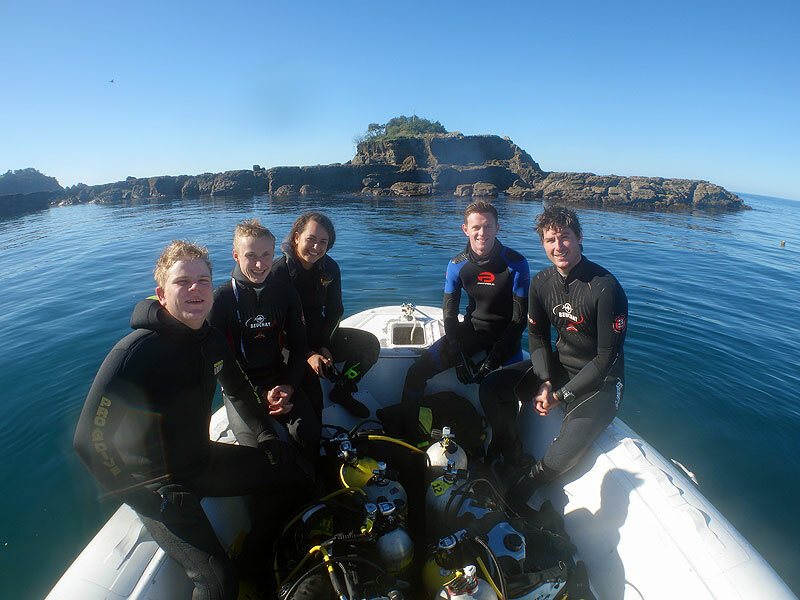 On Monday we were back at Leigh for some more diving with our full-time tertiary students. The wind dropped and the sea was calm all day. Again we returned Leigh Reef and the Outpost for another great days diving. The highlight of the day was probably snorkelling with a playful seal between dives as it sunbathed on the surface of the water.